1) Click the button below to be taken directly to Builders Without Borders website. 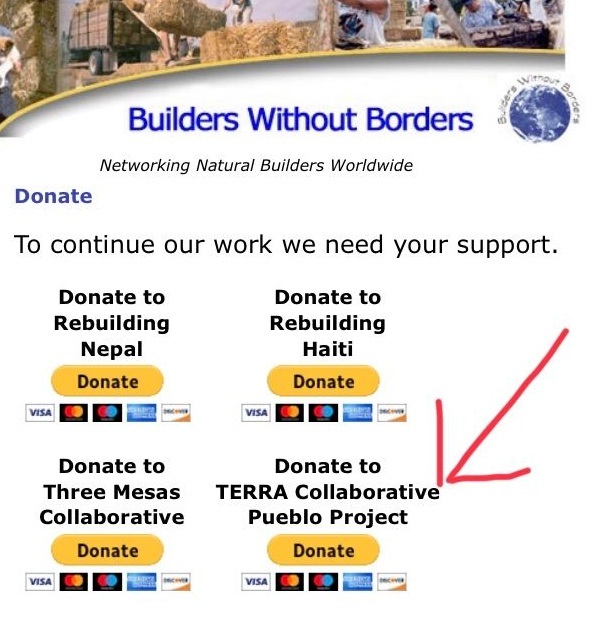 2) From the BWB site, select to make a donation to TERRA Collaborative/Pueblo Project. 3) Feel our undying GRATITUDE!